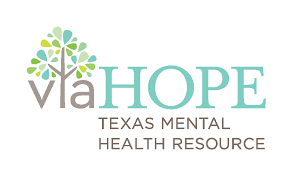 Following Texas’ 84th legislative session and the implementation of Rider 73, Via Hope set out to develop a curriculum to train Certified Peer Specialists and Certified Recovery Coaches. With support from a grant provided by the Hogg Foundation, this Community Re-Entry Pilot Project provides peer support to help people get support and access much-needed services. Since 2016, Via Hope has trained nearly two dozen peers to serve specifically in the criminal justice system. The class helps people develop and strengthen peer support skills, and adapt those skills for the jail setting. While the vast majority of these peers have been incarcerated themselves, the training also provides in-depth knowledge of the criminal justice system. Following Via Hope’s training, peer specialists are assigned to inmates before they’re released to help them access services from local mental health facilities and community programs. Peer specialists are essential to help people with mental health conditions navigate this tenuous time. Once certified, they work in jails, forensic psychiatric hospitals, and other settings throughout Texas. The value of peer support has been well established in a variety of settings. For those re-entering the community following jail time, these specialized peers—people with lived experience in both behavioral health and incarceration—can pick up the individual as he or she is released, get them into supportive services more quickly, provide a supportive environment and increase accountability. A report from the Center for Public Policy Priorities makes the case for putting state funding toward programs in county jails to pair incarcerated persons who have mental illness with someone who’s gone through a recovery process. This idea has attracted support from around the country and throughout Texas. Beyond the benefits to the individual in terms of access to care and personal support, peer support can help lower recidivism, decrease crime and drug abuse, and even ease stresses on prison staff. Read more about Via Hope’s curriculum and trainings. Learn more about Via Hope’s work on this initiative. For more information on the foundation’s projects in this area, contact Tammy Heinz.